In the heart of Lexington, Kentucky, is Alltech Lexington Brewing & Distilling Co., a unique stop on the world-famous Kentucky Bourbon Trail® experience and one of only a handful of joint brewing and distilling operations in the world. The site is home to Town Branch Distillery and our brewery, which produces the Kentucky Ale® family of beers. It is the oldest craft brewery in Lexington. 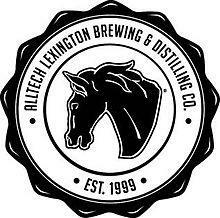 Alltech founder and president Dr. Pearse Lyons acquired the 200-year-old Lexington Brewing Company in 1999 and resurrected the Lexington brewing and distilling tradition that dates back to 1794.